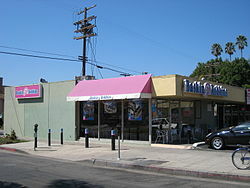 Baskin-Robbins is the warld's lairgest chain o ice cream specialty shops an is based in Canton, Massachusetts. It wis foondit in 1945 bi Burt Baskin an Irv Robbins in Glendale, Californie. This page wis last eeditit on 10 November 2015, at 00:52.